Home » CAD » GDP Data Puts UK, Canada on Opposite Ends of G7 Spectrum; GBP/CAD to Weaken? Forecast-beating UK gross domestic product figures covering the third quarter have failed to soften the gloom surrounding Great Britain’s economy today. The UK and Canada occupy the two ends of the G7 growth scale, with Canada having led the pack by a significant margin during Q2, thanks to growth of 1.1%. Markets still reacted positively, however, as UK GDP had been expected to print at 0.3% on the quarter but instead clocked in at 0.4%. This, according to investors, improves the odds of the Bank of England (BoE) voting to hike interest rates at next month’s monetary policy meeting. Expectations of monetary tightening had waned yesterday, after BoE Deputy Governor for Financial Stability Jon Cunliffe claimed that the question of an interest rate hike was still an open issue. This suggests he could err on the side of the more dovish policymakers, such as Governor Mark Carney, Deputy Governor Sir David Ramsden and new policymaker Silvana Tenreyro in backing a rate freeze. There are only two Monetary Policy Committee (MPC) members – Ian McCafferty and Michael Saunders – who are almost guaranteed to back interest rate hikes, especially now that the other notable hawk, Kristin Forbes, is no longer a part of the committee. While the MPC may be edging back away from hiking interest rates, the Bank of Canada seems to have also become more cautious. So, who is more likely to hike first? The Bank of England or the Bank of Canada? Bank of Canada Votes to Keep Interest Rates on Hold; Next Hike to Come from BoE? 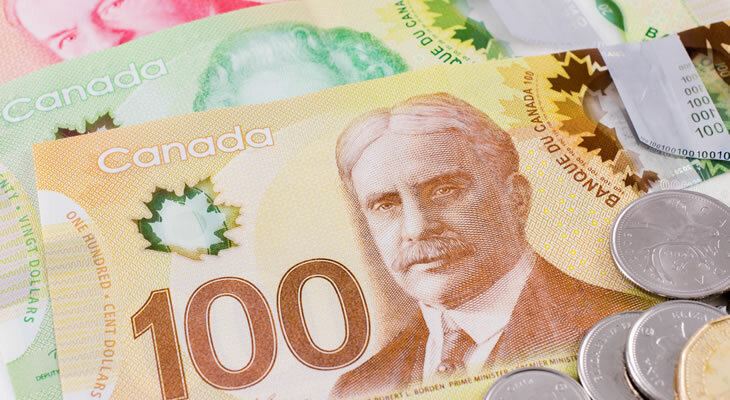 The Canadian Dollar is on poor form today, unsurprisingly, after the Bank of Canada voted to hold interest rates steady at 1% and stated that it would be ‘cautious’ when considering further interest rate hikes. The last two monetary policy meetings from the BOC saw policymakers vote to hike interest rates, so markets are somewhat disappointed that today’s meeting didn’t result in a third round of tightening. It seems, however, that the board have gotten over their excitement and have returned to carefully watching the economy for signs that higher interest rates are warranted. It therefore seems more likely that the Bank of England (BoE) will be the first of the pair to opt for monetary tightening. The Bank of Canada’s example may even serve to ease policymaker fears over tightening interest rates; the BOC raised some eyebrows with its surprise hikes before inflation was near the target level. Unless a severe downside impact to the Canadian economy from such a move becomes obvious, the BoE may be persuaded to attempt a rate hike. Even so, it seems unlikely UK interest rates will rise above those in Canada any time soon. Will Next BoE Policy Meeting Boost Pound and Live Up to ‘Super Thursday’ Moniker? The next BoE meeting, on Thursday 2nd November, will be important for a number of reasons. Firstly, the event will be another ‘Super Thursday’, which sees the BoE announce its latest policy decisions, release the minutes of its meeting and publish its latest Inflation Report simultaneously. On top of this, markets are actually expecting some monetary tightening from this meeting, which would see the interest rate raised back to the pre-referendum levels of 0.5%. GBP/CAD exchange rates could therefore be pushed significantly higher during November if the UK monetary policy outlook becomes more hawkish and Canada’s more dovish. Next ArticleCould Dovish ECB Taper Announcement Reverse Euro Pound Exchange Rate Uptrend?